paydayloansrm.com is a Participant in the TRUSTe Privacy Seal Program. TRUSTe is an independent organization whose mission is to advance privacy and trust in the networked world. As this Web site wants to demonstrate its commitment to your privacy, it has agreed to disclose its information practices and have its privacy practices monitored for compliance by TRUSTe. If you have questions or concerns regarding this statement, you should first contact us at info@paydayloansrm.com. If you do not receive acknowledgment of your inquiry, or if your inquiry has not been satisfactorily addressed, you should then contact TRUSTe at http://www.truste.org/consumers/watchdog_complaint.php. TRUSTe will then serve as a liaison with the Web site to resolve your concerns. paydayloansrm.com ("Company" or "we" or "our"), owns and operates the website located at www.paydayloansrm.com, (the "Site"). 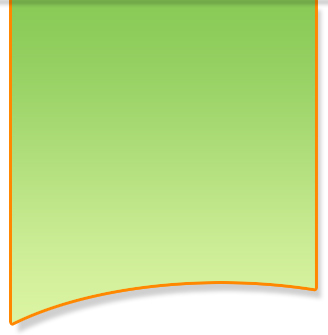 Through the Site, Company operates a prospective customer data base (the "Service"), by which it compiles, sorts and sells contact information to businesses on behalf of individual consumers who have shown an interest in applying for a business' products or services and has affirmatively asked to be contacted by a representative of a product or service business. Company utilizes third party vendors, third party affiliates, and a variety of media advertisements to promote the Site to consumers interested in completing an online application at our Site or to supplement our database by purchasing their database of consumers who have completed applications on websites other than Company's and have affirmatively requested receipt of information about product or service offerings similar to those offered on Company's Site. Company also promotes its product and service offerings via e-mail or telephone to consumers who requested that they be contacted either through our online application opt-in process via our Site or through an Opt-In process on one of our many vendor or affiliate sites (List Members). List Members will then receive email or telephone contacts.html only for so long as they wish to continue to receive such contacts.html. List Members can get off our telephone and e-mail contact lists at any time, no questions asked. You can remove yourself from further contact from Company by clicking on the OPT-Out link contained in each e-mail, or by sending in your OPT-Out request via e-mail to info@paydayloansrm.com. If you choose to remove yourself from our contact list, if applicable, we will also forward your name and contact information to the specific vendor or affiliate marketer who provided your informational request to us so that they can include your name on their do-not-contact list too. Please bear in mind that if your information was purchased commercially from a third party vendor, Company may not be the only data company your contact information was sold to. Additionally, our third party vendor or affiliate may have purchased your contact information from someone else and thus you may continue to receive contacts.html from those companies as well. Company is not responsible for stopping all unwanted contacts.html from sources beyond our immediate control. paydayloansrm.com does not knowingly collect personally identifiable information from children under 13 years of age. paydayloansrm.com collects information through the Site from our prospective and existing customers at several different points on our web sites. We use contact information to send information about our company and to service existing accounts. Users may opt-out of receiving future mailings; see the choice/opt-out section below. Contact and Financial information that is collected is used for verifying your name, address and other information. Not all information asked for on our site is required when you fill out our forms. Only Name, City, State, Address, Zip Code, Work Phone, Home Phone, Email Address, House Type, Current Value, Loan Amount Desired, 1st Mortgage Balance, Current Interest Rate, Current Payment, Are you Behind on Payments, Credit Rating, Place of Employment, Years Employed, Yearly Income, Loan Desired, and Best Time to Call. Information about your computer hardware and software is automatically collected by paydayloansrm.com and may be shared in aggregate with third parties whose services are used for traffic analysis purposes. This information includes: your IP address, browser type, domain names, access times and referring Web site addresses. This information is used by paydayloansrm.com to maintain and improve the quality of the service and to generate statistics regarding use of the paydayloansrm.com site. paydayloansrm.com does not use third party databases to correct or update the information you submit to us for any reason. You can send e-mail to info@paydayloansrm.com. As Company develops, we may buy other businesses or their assets or sell our business assets. Customer information is generally one of the business assets involved in such transactions. Thus, in the event that Company or all of its assets are acquired, customer information, including any visitor information collected through the Site, would be one of the transferred assets. For more information see our “Notification of Changes” section below. When you submit your request for information or quote, you are granting permission to be contacted by paydayloansrm.com or affiliated third parties. We share the contact and loan request data you submit on the Quote Request form and paydayloansrm.com account number information with affiliated companies such as banks, commercial lenders and licensed loan brokers to fulfill information requests we receive from you, to provide you with superior service, inform you of product and service opportunities that may be of interest to you, and for other business purposes, we may disclose all of the information we collect, as described above, to the following types of affiliated companies: financial service providers, such as mortgage and life insurance agencies, title service companies, debt & credit services companies and auto finance companies. 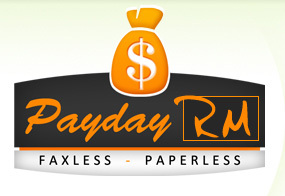 An “affiliate company” is a company under legal contract with paydayloansrm.com to fulfill services or is a company owned in whole ore in part by paydayloansrm.com. Some of the services offered on our website are co-branded with contracted partners. Co-Branded offerings will be identified directly on the Quote Request form for the product or service you choose prior to you having to submit the Quote Request. Where a co-branded product or service provider is identified your Personally Identifiable information will be provided directly to that provider’s website, not paydayloansrm.com. The Product or Service provider shall control your data once submitted to them. For purposes of identification and tracking, your contact information (name, Address, Phone, e-mail address, etc.) is shared with paydayloansrm.com. By submitting personal contact and/or financial information, the user hereby grants written permission to paydayloansrm.com, its affiliated sites, and its business partners for contact via telephone, mail, and/or e-mail. Further, by registering at paydayloansrm.com you are consenting to receive phone calls from paydayloansrm.com, its affiliated sites, and its business partners for contact via telephone, including but not limited to lenders that may contact you regarding a loan and thereby registrants waive their right to file a claim with the FTC or any other agency in reference to these calls or contacts. It’s just a 2-3 minute easy flowing process online carrying two easy steps. Our payday loan application process is secure, classified and confidential.